COLUMBIA, Mo. ­— Across the country, states are struggling to provide constitutionally mandated criminal defense services to defendants who cannot afford to pay for their own defense. In many states, inadequate funding results in severely under-budgeted public defense systems handling too many cases with too few lawyers. Oppressive workloads, combined with low pay and difficult working conditions often leads to burnout, which drives lawyers out of the indigent defense systems and into more lucrative and less stressful areas of practice. Ultimately, indigent criminal defendants bear the brunt of the crisis when they are represented by exhausted attorneys who don’t have the time, resources, or experience to adequately serve their clients. The Missouri Law Review, a student-run organization within the University of Missouri School of Law, is sponsoring the upcoming symposium “Broke and Broken: Can We Fix Our State Indigent Defense Systems?” to discuss the many issues facing indigent criminal defense systems. Rodney Uphoff, the Elwood Thomas Missouri Endowed Professor of Law at the University of Missouri School of Law and moderator for the upcoming symposium, says experts from around the country will gather to discuss this national problem. “At some point, inadequate funding for indigent defense adversely affects the quality of justice for the entire system. In hard times, there simply may not be any additional funds to address the problem in which case we may have to look seriously at alternatives,” Uphoff said. While much of the problem can be blamed on budget deficits caused by the current economic recession, difficulties concerning indigent defense systems are not a recent or regional occurrence. Many groups, including the American Bar Association, have focused on problems in the delivery of indigent defense services for years. Recent high profile exonerations of defendants who were wrongly convicted of serious crimes have shined a light on the deficiencies of an overworked system. Uphoff believes these exonerations show that American criminal justice system is not operating as flawlessly as many once believed. The Missouri Law Review was first published in 1936, making it one of the oldest legal publications west of the Mississippi River. 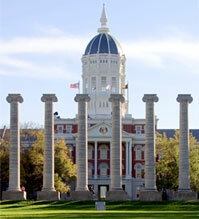 The Law Review is published quarterly by the University of Missouri School of Law. The Missouri Law Review is an entirely student-run publication.